She looks like a supermodel, sings like an angel, and writes heartbreaking songs, so Jade Jackson has every reason to be an egomaniac. Instead she’s one of the sweetest, most grounded, kindest people you’re likely to meet. She’s basically the quintessential small town girl, raised in Santa Margarita to parents who didn’t have a TV or computer in the house but did have a great record collection—Johnny Cash, George Jones, Hank Williams. SMALL TOWN GAL: Santa Margarita’s Jade Jackson headlines SLO Brew on July 20, playing songs from her upcoming album as well as old favorites. Inspired by these giants of country music, Jackson picked up a guitar and began writing her own songs at 13, performing live by the time she turned 14. Of course, a teenager doesn’t live on country music alone, and she soon discovered The Cure, The Gun Club, Echo and the Bunnymen, and The Smiths. While still a teen, Jackson self-recorded two albums and attended Cal Arts, where she learned to appreciate Tom Waits, Bob Dylan, Emmylou Harris, Jason Bell of Drive-By Truckers, Tex & the Horseheads, Mazzy Star, and punk rock heroes Social Distortion. Post college, she’s now returned to Santa Margarita to regroup. Jackson expects to release her next album in early 2017, and then she plans to hit the road with her band, guitarist Andrew Rebel, bassist Jake Vukovich, and drummer Tyler Miller. Ness, if you don’t know, is the founder and frontman of Social Distortion. I haven’t heard the new album yet, but I did catch Jackson’s act at this year’s Live Oak Music Festival and she sounded amazing. On “Fool’s Gold,” Jackson’s sultry vocals glide over sinister guitar work, moving up a note as she delivers a line, signaling heartache like an old-time country yodel singer. It’s an elastic voice that emotes and seduces. 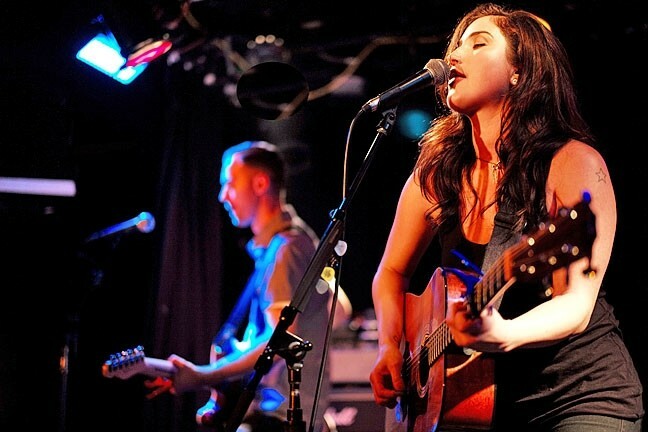 Jade Jackson, who’s opened for everyone from Merle Haggard to Dwight Yoakum to Rosie Flores, plays her first-ever headlining gig at SLO Brew on Wednesday, July 20 (8:30 p.m.; 18-and-older; $10 to $25 at slobrew.com). I loved Fialta’s debut album Summer Winter, whose song “Greek Pretender” was a New Times Music Awards winner in 2013, and on July 15, their new album, Shadow of a Drought will be released to the public during an album release concert at The Grange Hall in SLO (6:30 p.m.; all ages; $19.50 presale at fialtamusic.com). 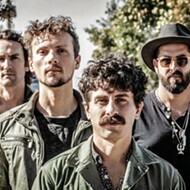 'WE DO THE BEST WE CAN' : Local pop quartet Fialta is on a West Coast tour in support of their new album, with a stop on July 15, at SLO’s Grange Hall. This is an amazing band! 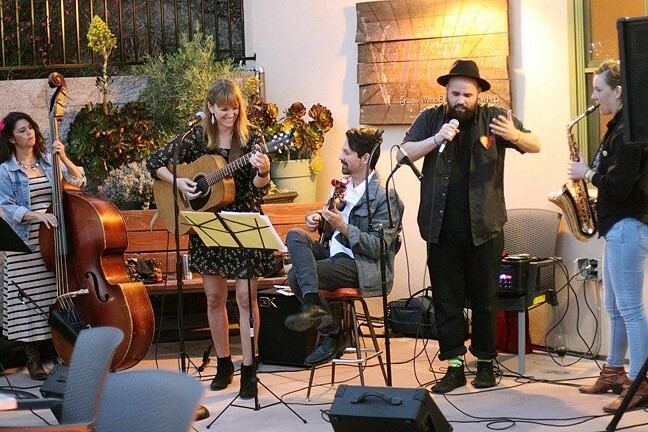 Featuring multi-instrumentalists David Provenzano and Michael Leibovich (formerly of the successful Cal Poly-formed band Sherwood, which signed to MySpace Records) and their multi-instrumentalist spouses Beth Clements and Sarah Shotwell, combined they’re a pop powerhouse! 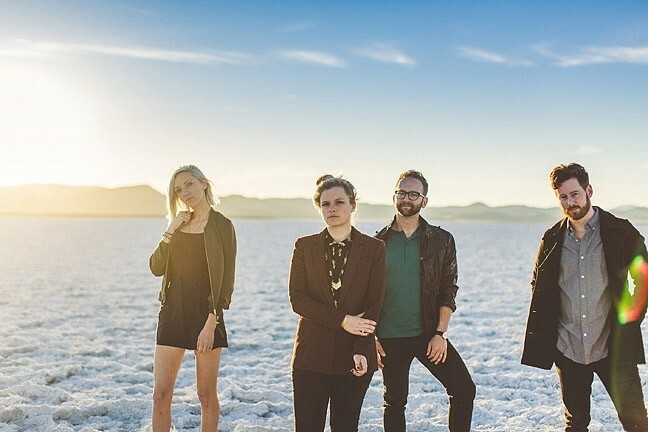 With plenty of synth and hooky melodies, the band is California’s answer to ABBA—soaring vocal harmonies and impossibly catchy earworms! The business savvy act has licensed a lot of their music, appearing in advertisements and on the soundtracks to TV shows such as Awkward, A to Z, Parenthood, Degrassi, and About a Boy. Drawing their band name from Vladimir Nobokov’s 1936 short story “Springtime in Fialta,” the band’s new album Shadow of a Drought takes its name from a line in the album’s first single “Do the Best We Can,” a soaring anthem “inspired by the dangerous drought conditions present in the band’s home state,” they said in press materials. The album’s songs proceed thematically, exploring other kinds of droughts, “environmental, spiritual, creative, and relational,” but with a touch of irony. It’s a great sounding album with some tracks so danceable they’re bordering on disco. The opening track, “Be Someone,” has a great beat and an exuberant chorus that could blow up a dance floor. I don’t know if you remember the soundtrack to the Ryan Gosling film Drive (2007), but their next track, “Another Lonely Heart,” would fit right in. For my money, The English Beat is the ultimate party band. The late-’70s and early-’80s ska revival act has so many great songs: “Tears of a Clown,” “Mirror in the Bathroom,” “Save it for Later,” “I Confess,” “Can’t Get Used to Losing You,” and on and on. This is a band that can get the whole dance floor pogoing! HE’S GOT THE BEAT: Dave Wakeling still fronts The English Beat, the great Birmingham, England-formed ska revivalist band, which plays July 16, at Tooth & Nail Winery. 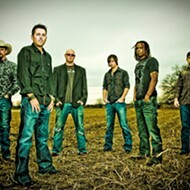 They’ll play a Tooth & Nail Winery concert organized by Numbskull and Good Medicine Presents this Saturday, July 16 (6 p.m.; 21-and-older; $21 presale at ticketfly.com or $23 at the door). 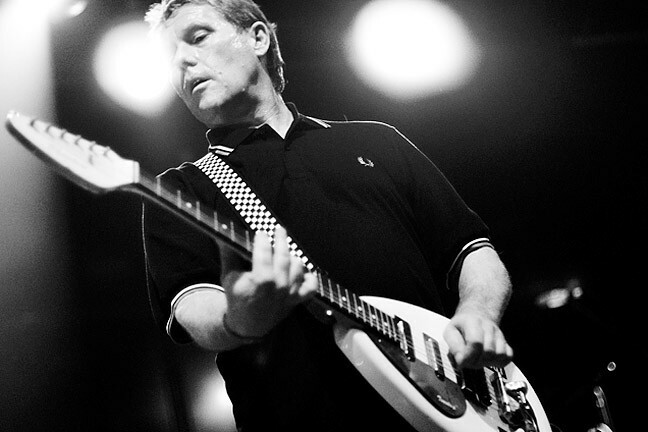 Still fronted by working-class Birmingham, England, native son Dave Wakeling, the band formed in 1979 during a time of social, political, and musical upheaval. A true two-tone band, they transcended racial barriers and waded into politics with songs such as “Stand Down Margaret,” but their true message was love and unity set to an infectious ska beat. The band was active from 1979 to 1983, and when they broke up, Wakeling went on to form General Public, which was active from 1984 to ’87 and again from 1994 to ’95. 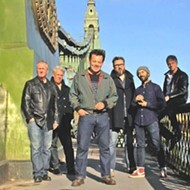 After a long hiatus and being involved in environmental work, Wakeling returned to the stage in 2003 as The English Beat again, and he and his band have been going strong ever since. Wakeling and the old songs sound as good as ever, and word is two new albums will be forthcoming: Bounce with original member Ranking Roger is rumored to be released this September, and Here We Go Again with Wakeling and his band is said to be coming out in 2017. I can’t wait! Good Medicine Presents and Tooth & Nail Winery also will host a pop-up concert on Friday, July 15, with Sam Outlaw (5 p.m.; free), a “Southern Californian singer-songwriter steeped in the music and mythos of West Coast country, absorbing the classic vibes of everything from ’60s Bakersfield honky-tonk to ’70s Laurel Canyon troubadour pop and refashioning them into a sound that’s pleasurably past, present, and future tense,” according to his bio. In addition, Numbskull and Good Medicine Presents bring another of their Fremont Theatre Lobby concerts to downtown SLO on Wednesday, July 20, with The Garden, Surf Curse, and Sad Girl (7 p.m.; all ages; $12 presale at ticketfly.com or $14 at the door). 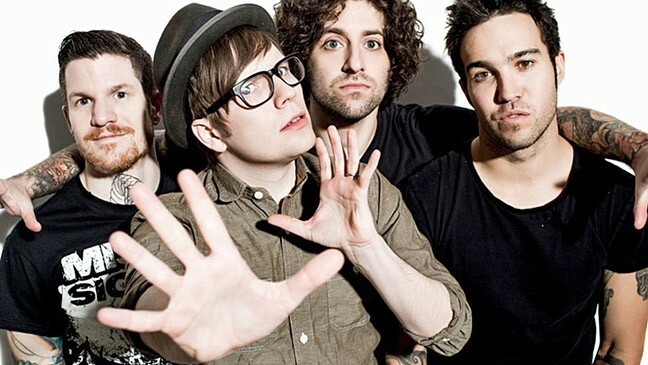 NUMBER ONE: Alternative rock act Fall Out Boy has the honor of being the first band to grace the Grandstand at this year’s California Mid-State Fair on July 20. The California Mid-State Fair starts this Wednesday, July 20, and the first act to occupy the Grandstand Stage is Fall Out Boy (7:30 p.m.; all ages; $36 to $81; at midstatefair.com), who just won Favorite Artist—Alternative Rock at the 2015 American Music Awards, Best Rock Video at the 2015 MTV Video Music Awards, and Best Alternative Band at the 2014 People’s Choice Awards. American Beauty/American Psycho, their sixth studio album, debuted at No. 1 on the Billboard 200 and peaked at No. 1 on iTunes. 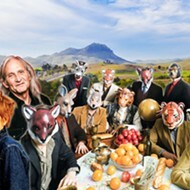 This show is one stop on their band’s global tour in support of the new album. Visit the fair’s website for this year’s lineup that includes Fergie (July 22); Hollywood Vampires with Alice Cooper, Joe Perry, and Johnny Depp (July 25); Brian Wilson recreating Pet Sounds (July 29), and a whole lot more! LOCAL AMERICANA: The Foxx & Rice Band brings their folksy sounds to Frog and Peach on July 14. Wheatley Matthews, a folk and blues singer-songwriter out of Dayton, plays Linnaea’s Café this Thursday, July 14 (8 p.m.; all ages; pass the hat), touring in support of this third album. He lists Robert Johnson, Bob Dylan, and Jason Isbell as influences. 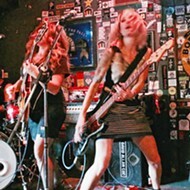 Get glammy when The DTEASE with Mother F Bomb plays Frog and Peach on Saturday, July 16 (10 p.m.; 21-and-older; free). 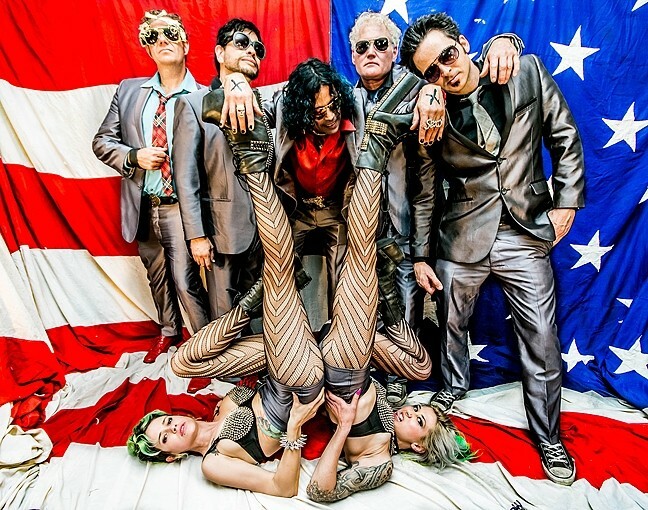 “The DTEASE have managed to take all the good from ’70s glam artists like David Bowie and T. Rex, ’70s punk rock like The Clash & The Ramones, ’60s rock like The Doors and The Rolling Stones, and everything missing in the modern rock scene to create an all-powerful icon,” according to their bio. GLAMTASTIC: Glam rockers The DTEASE play July 16 at Frog and Peach. To Wake You plays the SLO Museum of Art in support of their second single release on Sunday, July 17 (3 p.m.; all ages; $20), with guest performers harpist Chris O’Connell and bassist Dylan Johnson. The local Scandinavian/Californian duo features Karoline Hausted and Mark Davis, one half of Shadowlands. The apple doesn’t fall far from the musical tree! Robin Liepman, son of the amazing folk duo Bob & Wendy (the other half of Shadowlands), has a handful of shows this week under his band name Bloom. He’ll play Tuesday, July 19, from 6 to 9 p.m. at Sumo Sushi to play his “earth activist focused, medicinal, enchanting, uplifting, and enlivening” music. On Wednesday, July 20, from 7:30 to 10:30 p.m., enjoy an Ecstatic Dance Cacao Ceremony with Bloom music and Anahata yoga ($15 to $25) at Atascadero’s Wilwand Tea Co. Then on Thursday, July 21, Bloom plays Bliss Café from 6 to 9 p.m., playing songs from his album Earth Child. And finally, on Friday, July 22, come to Bloom’s official CD release party at Linnaea’s Café from 8 to 10 p.m., with special guests Bob & Wendy. 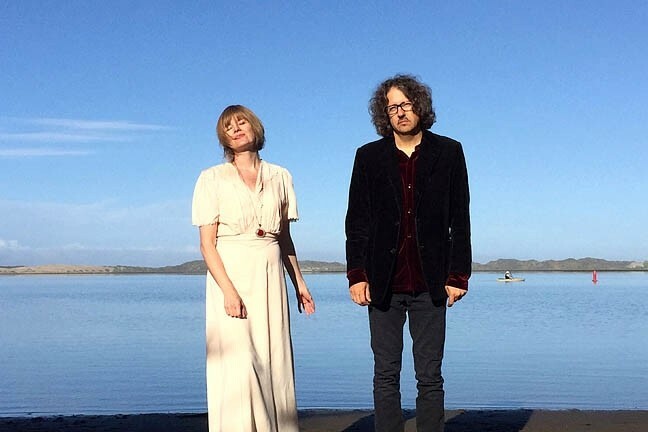 MUSIC AS ART : Husband-and-wife duo To Wake You will be joined by two guest artists on July 17 at the SLOMA. Roses & Cigarettes will play an acoustic show at Frog and Peach on Wednesday, July 20 (10 p.m.; 21-and-older; free), as part of a West Coast swing from Los Angeles to Portland in support of their self-titled debut album.